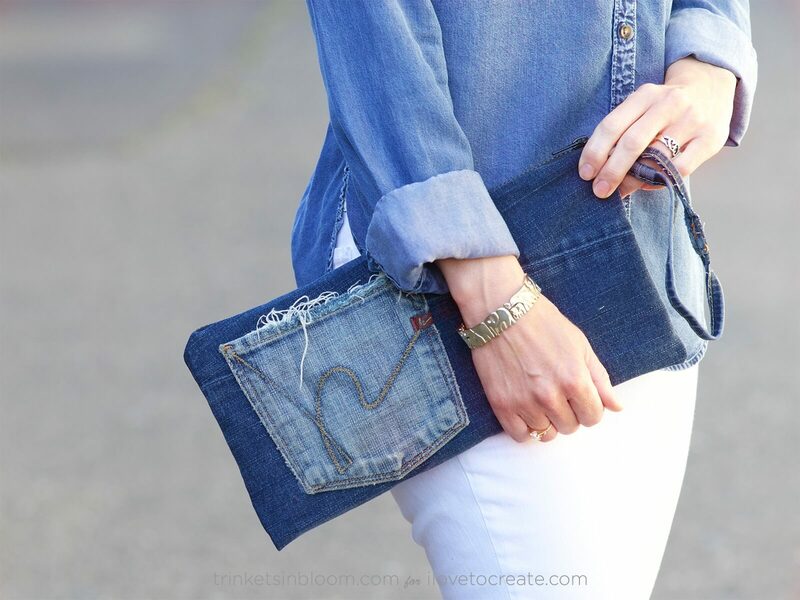 Create a super cute bag while upcyling your old jeans and did I mention there's NO SEWING involved! For anyone who wants to make cute clothing or accessories but just doesn't want to sew Aleene's Fabric Fusion is your miracle worker! 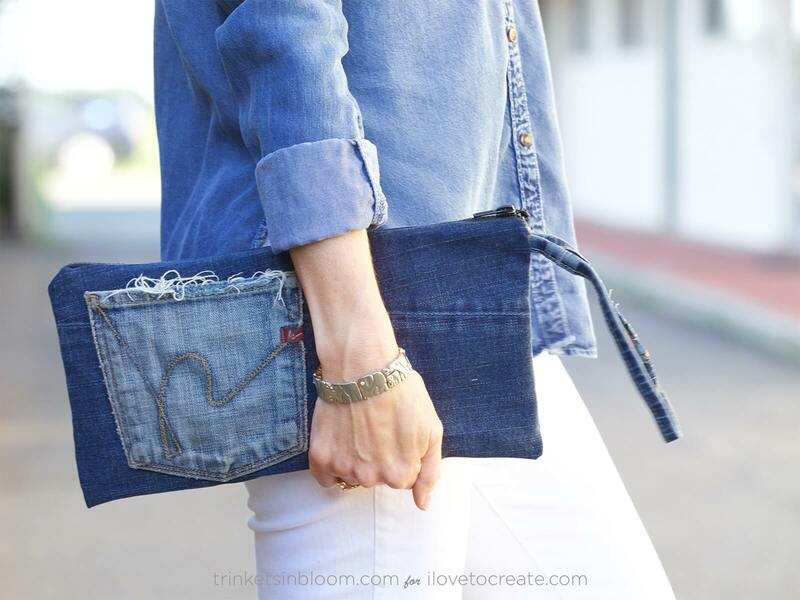 I even used it to add a zipper to this DIY Denim Clutch. 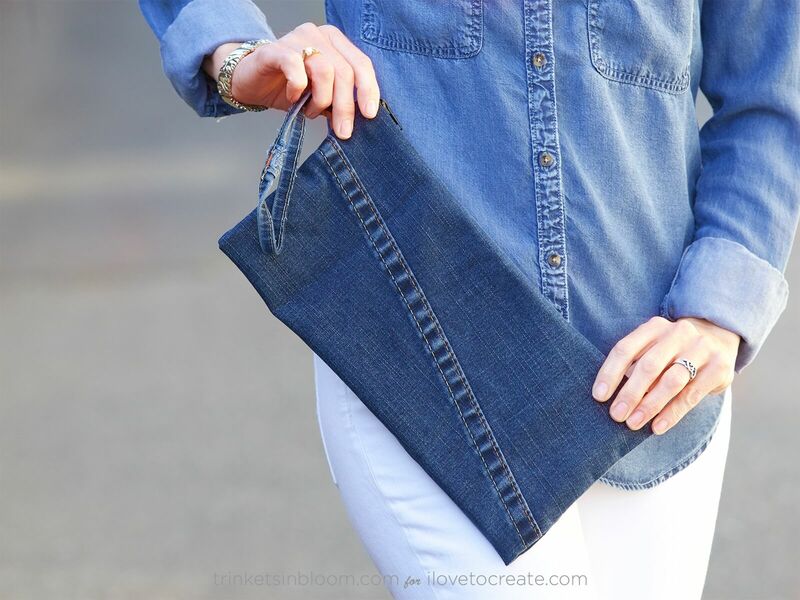 Keep reading to see how to glue fabric to fabric and make your own denim clutch today! 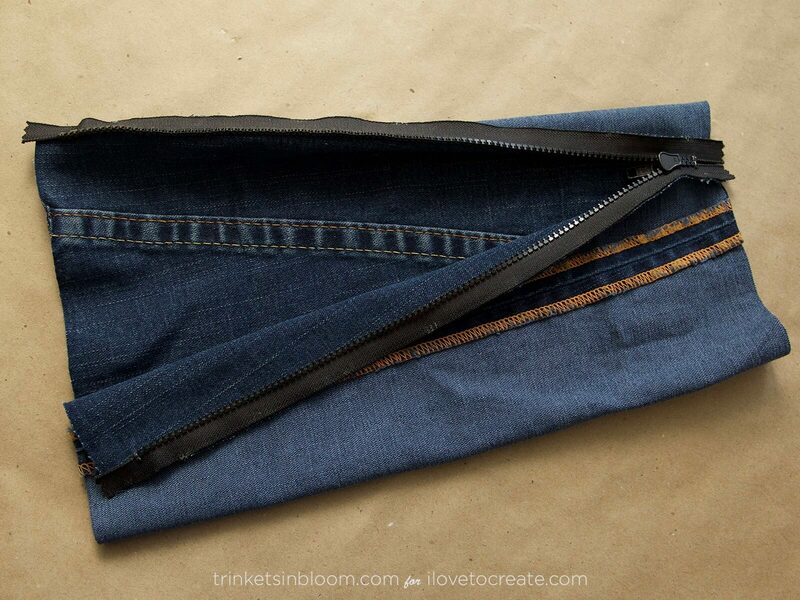 Measure your zipper along your jeans. 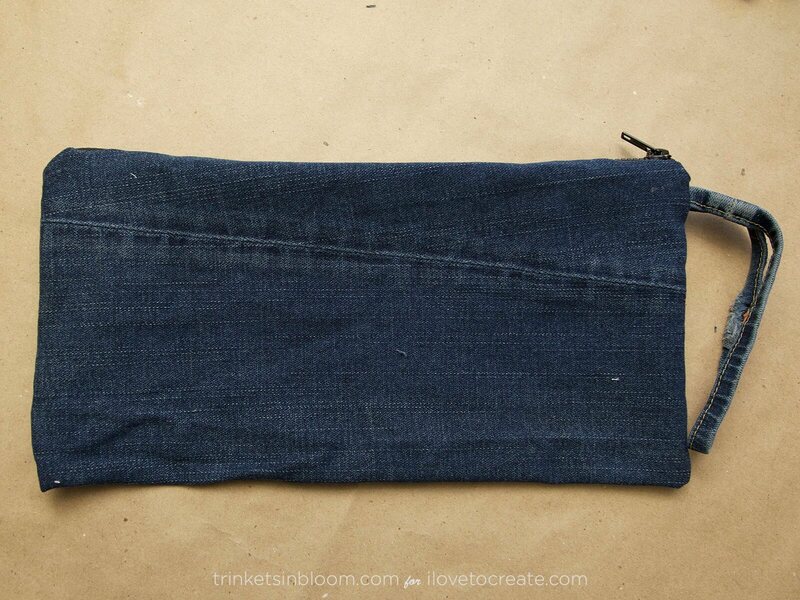 I used the bottom of a pant leg. Remember; extra seams and stitching add character. 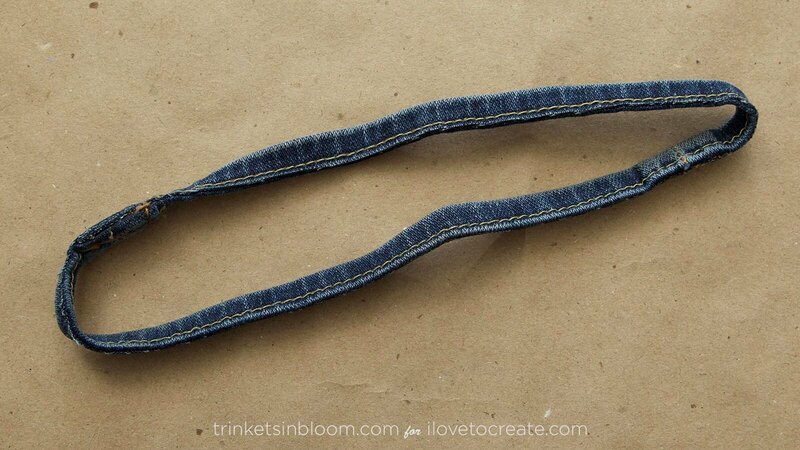 I cut my jeans the length of my zipper. 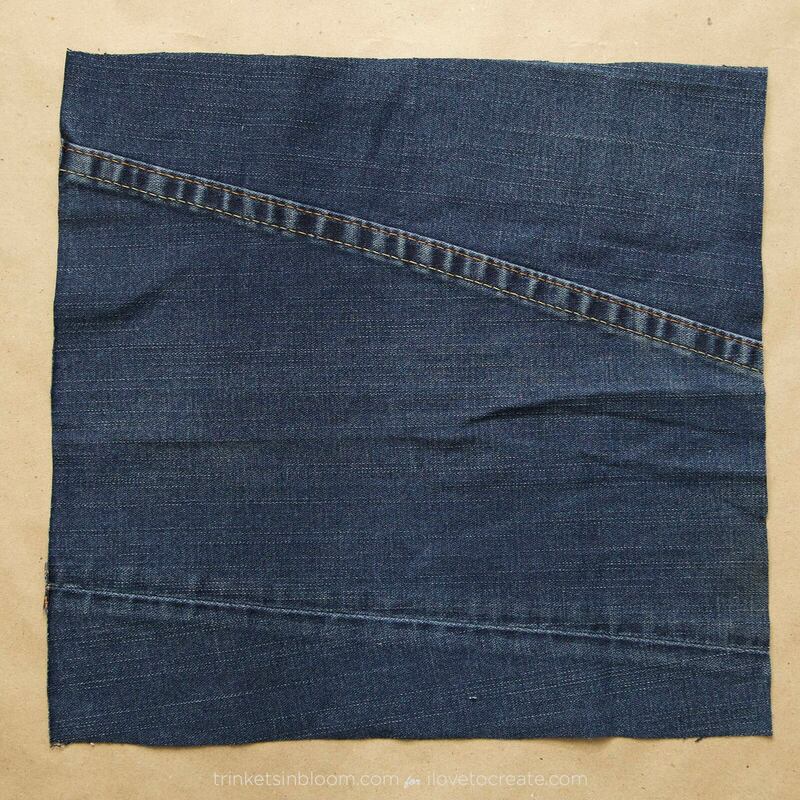 After cutting when you open your denim you should have a big square or rectangle, depending on the size you want. 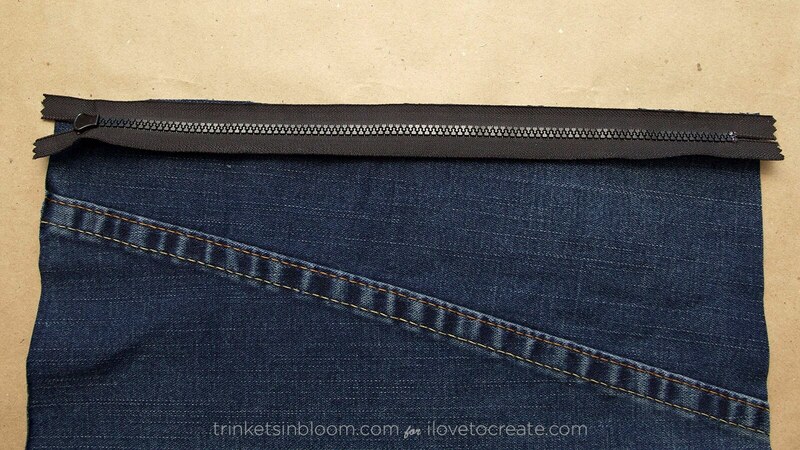 Put a line of Aleene's Fabric Fusion along the top right side edge of your denim and press your zipper face down on top of the glue. Be careful not to get the glue on the zipper part only on the fabric side of the zipper. 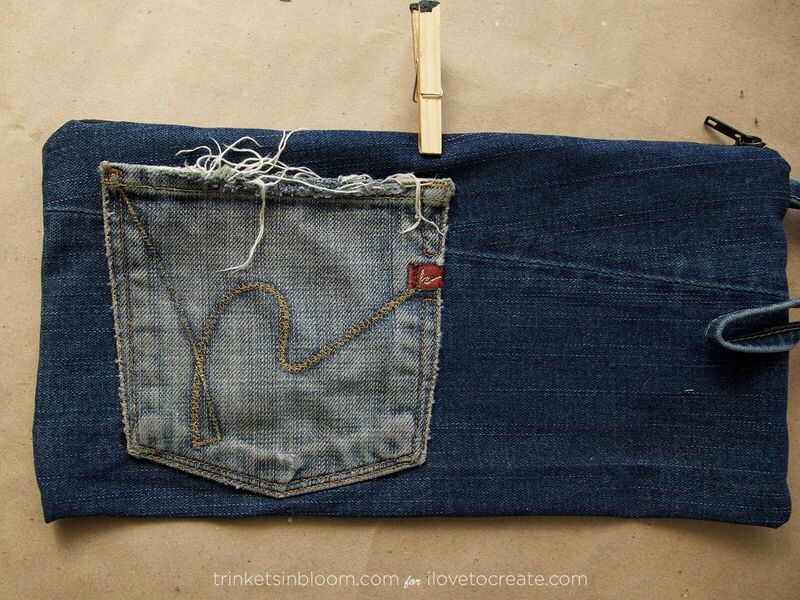 Use your clothes pins to hold this seam in place as it dries. You'll want to let it dry a bit before moving to the next step. 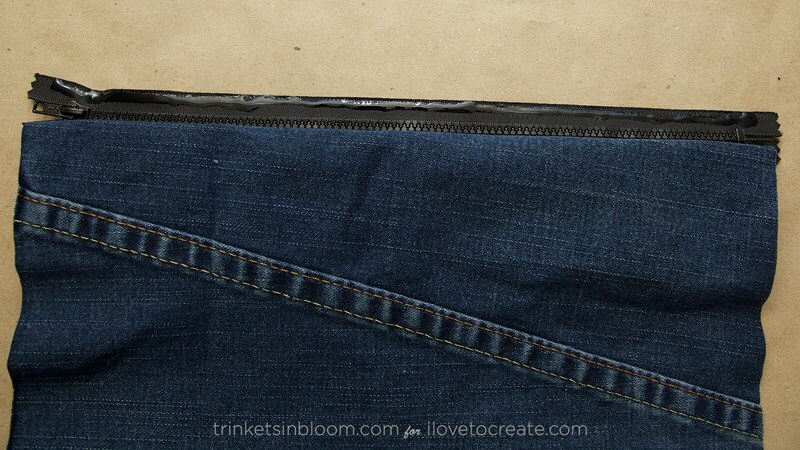 When your first seam is mostly dry, flip your zipper over so you can see the other side, as in the photo above and add your fabric fusion in a line along the top edge of the zipper. 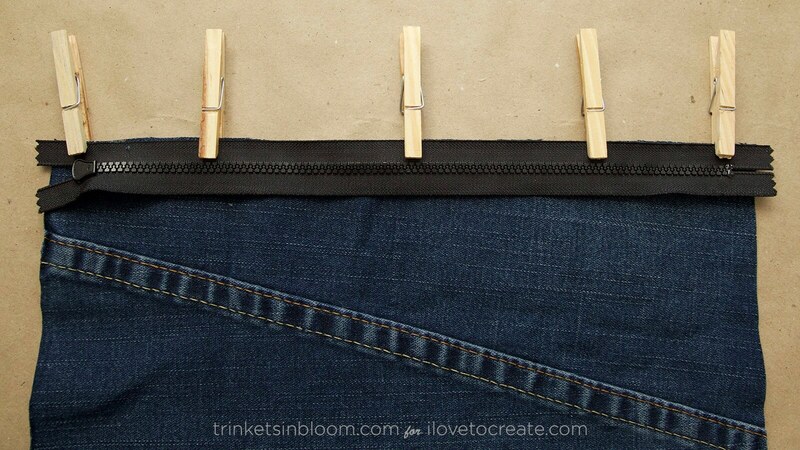 Press the bottom edge of your denim into the fabric fusion and hold your seam with clothespins. Let these seams dry before moving on to step 8. This is very important. If you don't open your zipper before closing the sides of your bag you will have a really hard time opening it to turn it right side out. 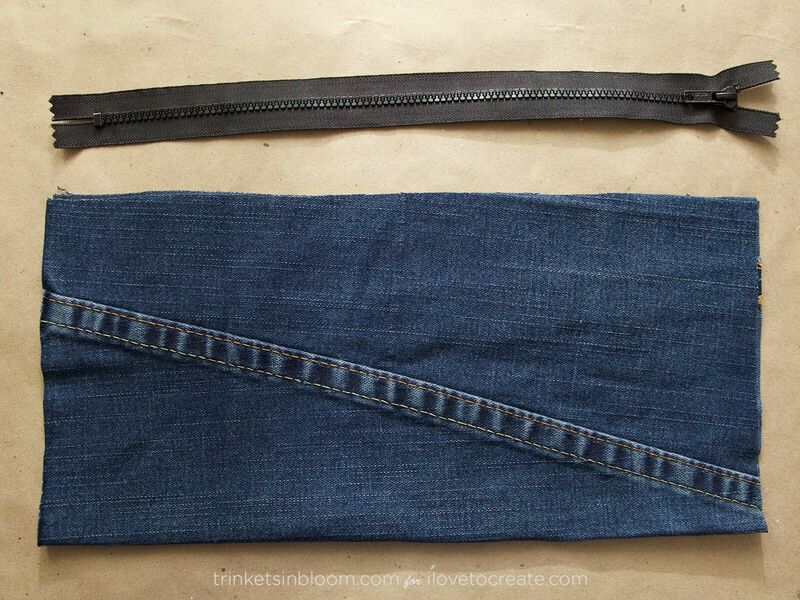 Cut off the bottom hem of one pant leg. 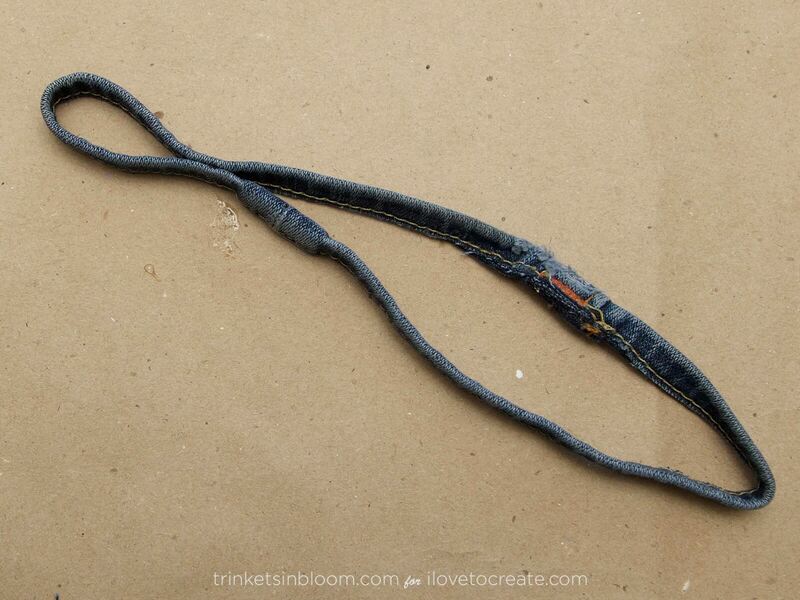 Measure how long you want your loop to be and glue it together using the fabric fusion. 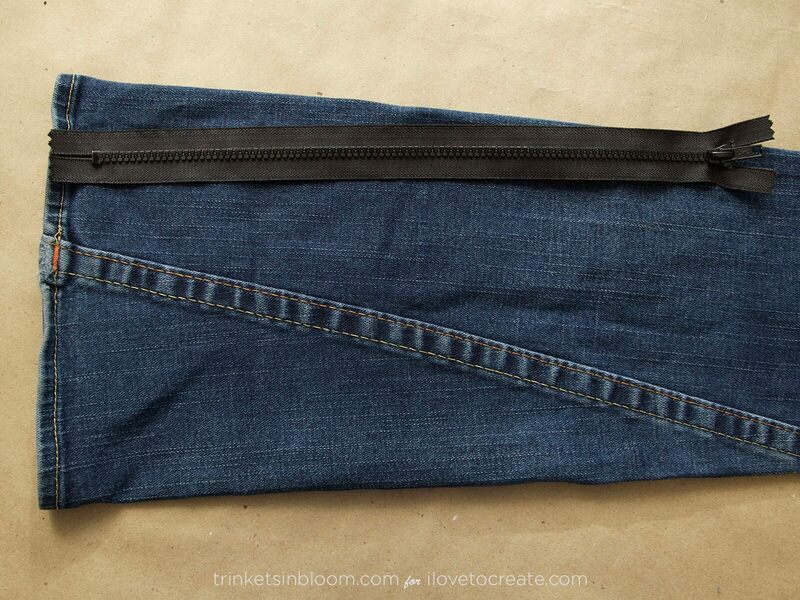 With your zipper open, add your fabric fusion down one side of your bag. 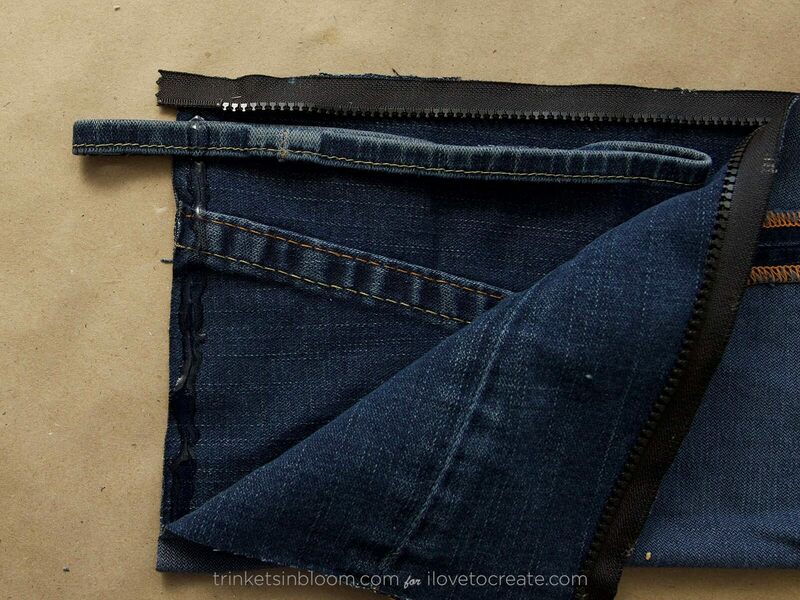 Press your loop into the fabric fusion and add a little more on top of the loop. 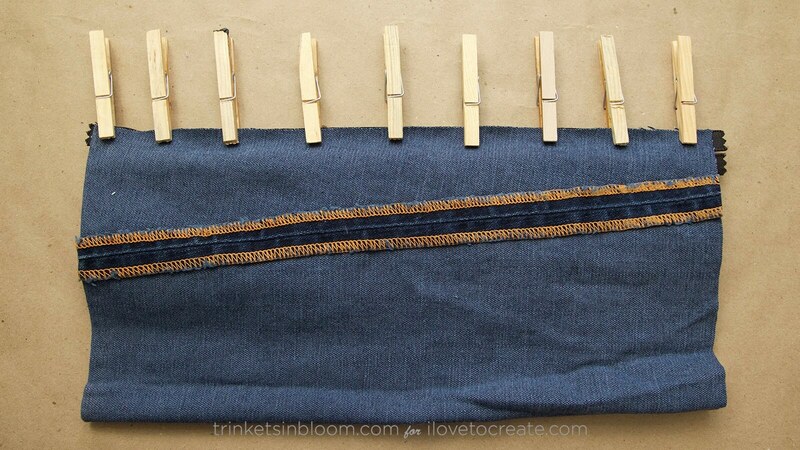 Press your seam together and hold with clothespins. 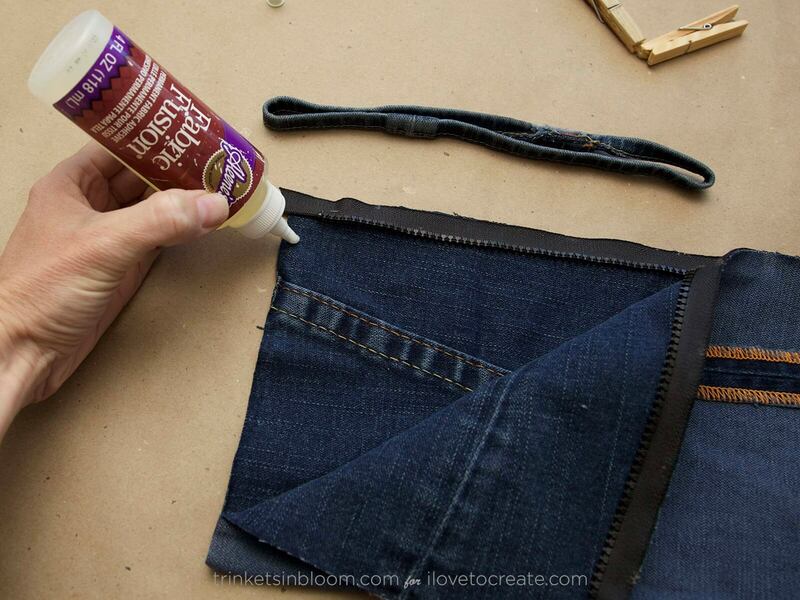 When your glue is dry you can cut off any excess fabric from the loop. 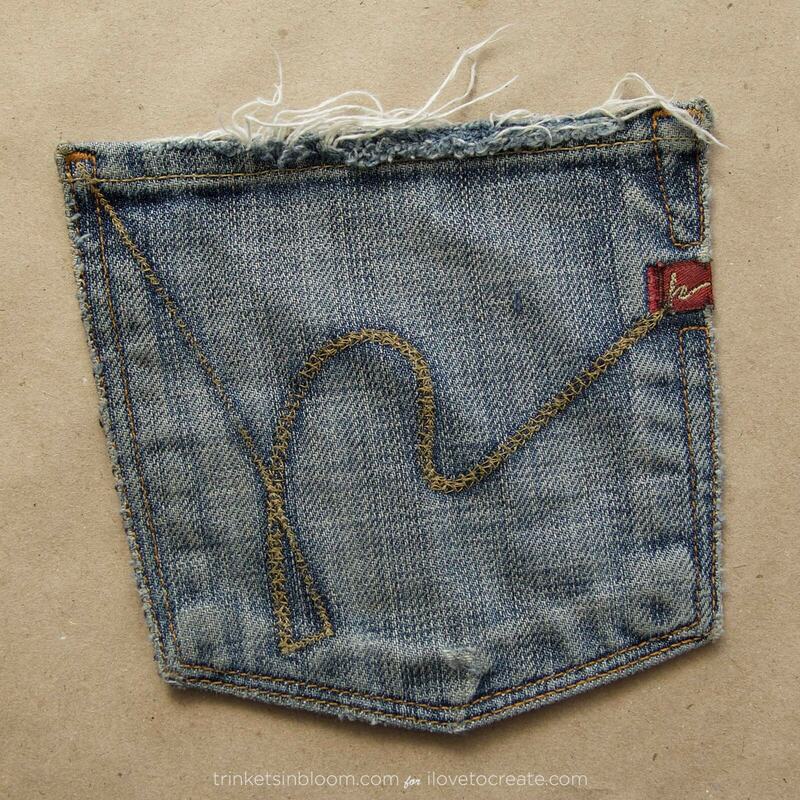 Cut out a pocket from your jeans. 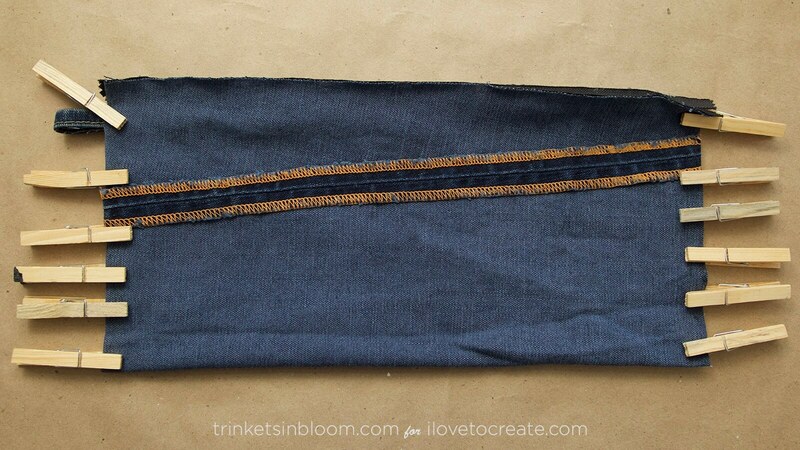 When your fabric fusion is dry on all your seams, turn your bag right side out. 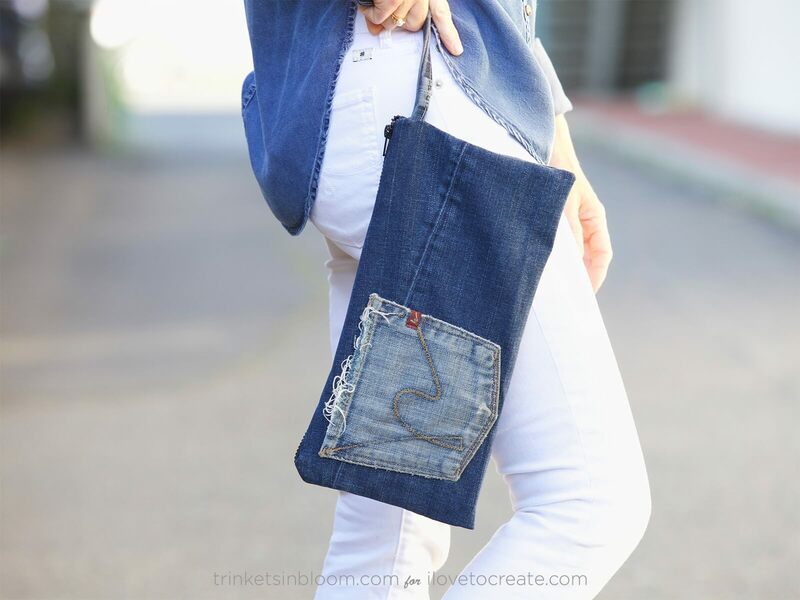 Add your fabric fusion to the back of your pocket and press it onto your bag. Let it dry and your ready to rock it! Thanks for checking out this DIY and if you'd like to see more fashion DIY projects be sure to check out my links above and my blog Trinkets in Bloom.